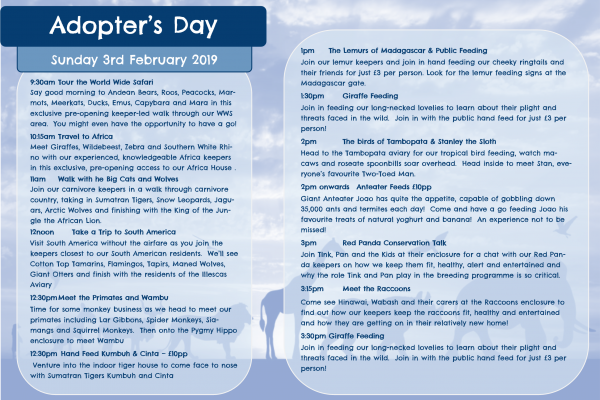 Our keepers will be on hand with a special talks programme for all our adopters, both new and existing, to become more acquainted with their adoptee! 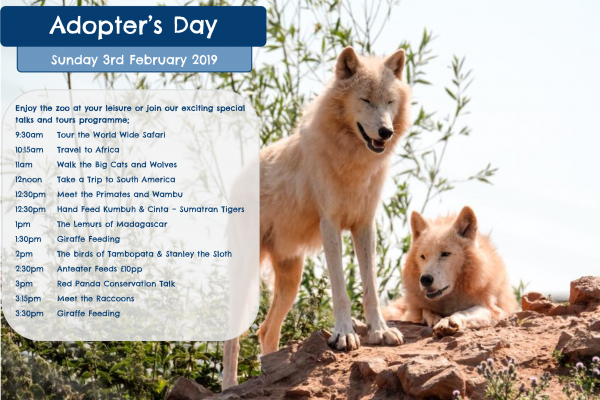 With free admission for adopters and reduced price admission for accompanying friends and family this is a day not to be missed. Keep an eye on our adopter’s facebook page for the schedule and timetable which will be issued in the coming days….